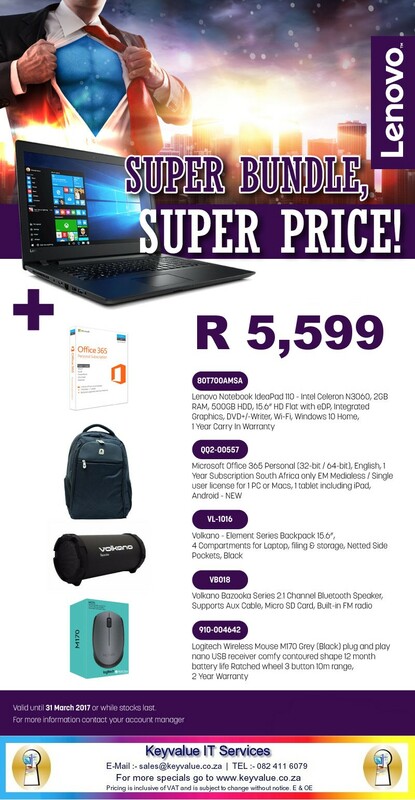 We are currently running a special on the Lenovo IdeaPad 110 bundle. 1 tablet. Microsoft Office 365 is an annual subscription. wheel, 10m range and comes with a 2 year warranty. The Notebook comes with a one year carry in warranty. 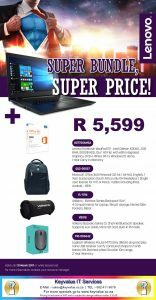 Prices valid until 31 March 2017 or while stocks last.